one franchise at a time. It is not uncommon for people to sacrifice comfort for style from time to time, but for those with serious foot issues like Charcot or plantar fasciitis, every day can feel like a sacrifice. Finding shoes that alleviate pain and look good, well, that may seem about as elusive as a Sasquatch sighting. Enter Ray Margiano, CEO and founder of Atlanta-based Foot Solutions, a 121 franchise-owned chain spanning 14 countries, who understands how the perfect pair of shoes—fitted properly—can profoundly change people’s lives. Carving out a unique niche at the intersection of pedorthics and fashionable comfort footwear, Margiano has learned how to address the specific needs of his clientele, who often come to his stores in desperate foot pain. And those are just the people who have discovered a Foot Solutions; there are millions more people around the world living in discomfort that Margiano believes could benefit from its services. With an updated store design and new licensing concept underway, he plans to reach as many of those people as possible. He is looking at growth of up to 36 new locations this year, a noteworthy feat in an era when tales of store closures are far more common than expansion stories. Strip centers are the preferred location for the 121 Foot Solutions outlets located around the world. Just as Foot Solutions strikes a balance between traditional orthotic shops and fashionable comfort stores, the company also balances old school customer service (employees spend at least 30 to 45 minutes with each client) and cutting-edge fit technology (like pressure pad systems and scanning machines in each store). 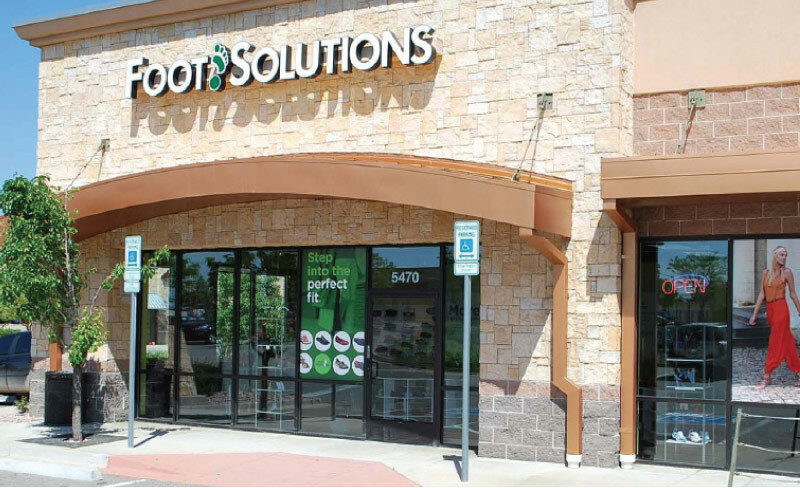 Scott Garmon, a certified pedorthist based in Hickory, NC, and the 10th franchisee to open a Foot Solutions locale in early 2001, believes the world doesn’t need another shoe store, and that’s why Foot Solutions is different. “We have a unique selling proposition, and it’s hard to replicate what we do,” he says. “We offer a combination of retail expertise and an ability to make modifications in our lab that you just can’t find online. Any store can pull an insert off the shelf for you, but you are not symmetrical; you were made unique.” Garmon, who focuses on seniors, diabetes patients and veterans through partnerships with Medicare and the Veteran’s Administration, believes addressing the unique needs of every customer, who he views as a “work in progress” as their feet change with age, is the basis of his store’s success. Garmon reports his best gross sales was in 2017, having grown 3.5 percent. While Foot Solutions’ largest customer base is women ages 40 to 65, Margiano encourages franchisees to establish stores that align with their passions. A podiatrist may focus on medical orthotics, while someone like Orischak has the freedom to explore her fashionable flair. Still other franchisees cater to athletes who want to improve performance and reduce the risk of injury. “You have to work with franchisees to highlight their strengths and look at the marketplace to find the niche that works best for them,” he says. Additional new concepts rolling out this year include a focus on licensee conversions, where Foot Solutions takes 8 to 12 feet of wall space in an existing retailer to display custom orthotics and premade inserts as well as trains their staff on how to best service those customers. First launched at the end of 2017, Foot Solutions already has six licensee stations in place, and Margiano believes he can open at least 24 more in 2018. As for additional stores, the plan is to first expand in areas that they already have existing locations, such as Colorado, California and Arizona. “I’d like to expand where we have an existing network, so we have a clustered group that can market and buy together as well as reduce costs,” Margiano says. 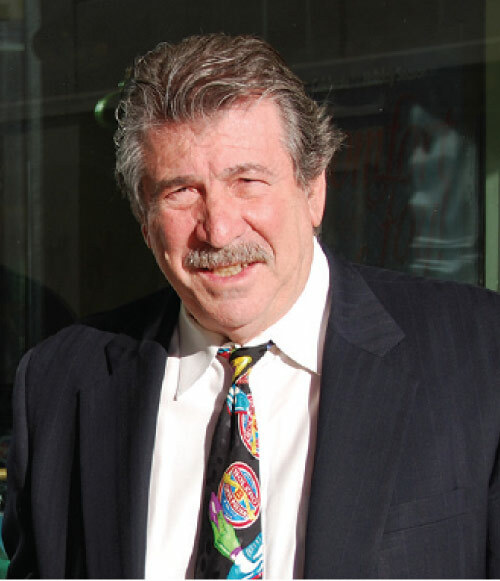 In terms of specific locations, he prefers strip centers, currently home to 98 percent of it stores. The rest are stand alone, usually tied to a medical center or another business. Margiano avoids malls because they are “too expensive,” except internationally in places like Dubai where a mall was the best choice for a Foot Solutions. International expansion, Margiano adds, has its idiosyncrasies and challenges. “There’s so much to consider—something as simple as a name when it gets converted in their language could translate to something bad,” he says. “Certain countries have colors you need to avoid, as well. You also really need to look at the population, income and fashion preferences.” Malaysia, for example, is a poor country so Foot Solutions adjusted the concept to carry less costly inserts and orthotics, but still addresses those needs. “In India, we recognized that the country has three times more cases of diabetes than in the U.S., so we adjusted our model to serve that need,” he adds. An entrepreneur from a young age, Ray Margiano shares his passion for building businesses with his franchisees and his family. Ray Margiano started working in his dad’s Derby, CT, auto garage when he was just 10 years old. After a brief stint in the Navy, he returned home to pump gas, wash windshields and do service repairs 50 hours a week, all while attending school full time. Although he couldn’t wait to get away, it was his first generation Italian father’s entrepreneurial spirit and fierce determination that laid the path for his own success in the footwear industry. Margiano also shares his love of being an entrepreneur with his daughters, Raina Williams, who runs Foot Solutions’ flagship store in Marietta, GA, and Krin Patrie, who works in marketing for the company. 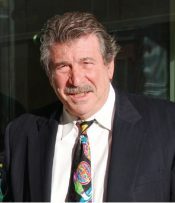 However, unlike the pressure he had from his own father to enter the family business, Margiano never forced his daughters to be involved. “I’ve always just put them in a position where they can succeed and grow,” he says. Williams is following in her father’s footsteps as her 20-year-old daughter helps out in her store. Reflecting on his early days striking out on his own, Margiano remembers his father being upset with his decision at first. “His reaction was, ‘You left being president of a division to do shoe repair. You could have had my garage!’” The father thought his son was taking a step backwards, that is until he saw the Heel Quik concept mushroom into hundreds of stores, followed by similar growth with Foot Solutions, not to mention his son traveling all over the word. “He put his arm around me and said, ‘You’ve done a great thing,’” Margiano says.